There was no Match 4 winner of the Club Lotto on Friday, 7th March when the numbers drawn were 1, 15, 16 and 16 so next week, the jackpot goes up to €6,900. If you’re not already signed up please do so as not only are you in with a chance to win a serious Jackpot but you are also helping support your local club. It is €2 per week but goes a long way towards running all the facilities that we have. Mary Kennedy was the name drawn in the Lucky Dip and will receive €25. Further details are available at www.brayemmets.com. 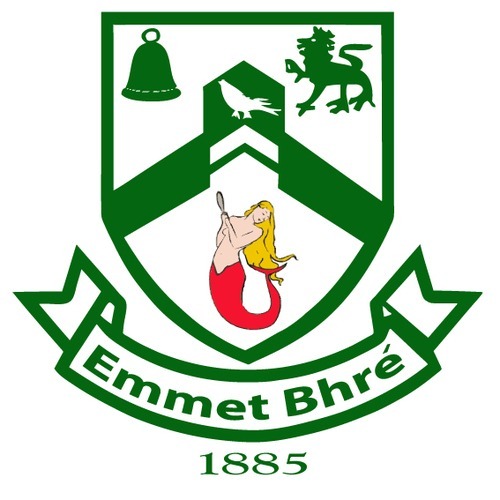 Bray Emmets will once again march in this year’s St Patrick’s Day Parade in Bray. We have won best sports club for a number of years and would like this year to be no different. We are looking for anyone with any new ideas for our march? We would like to see our biggest ever turn out this year to showcase our club and its members. We will meet at 2.40 on St. Patrick’s Day just outside St Cronans School. Please wear club jerseys and colours. We will have our face painters there from 2.30. If anyone has wigs, green hats or inflatable shamrocks etc to brighten things up a bit, it would be great to see them. Bray Emmets are running a “Talk on Nutrition for young players”. This is a chat for parents on suitable nutrition for young players aged 10-14 . The talk, which will be roughly an hour, is on in the club house starting at 8.30 on the 25th March, all are welcome. All members are reminded that anyone using the Gym must be a gym member. The cost for the year for the gym is as follows: Players €20 and non playing members €50. Please contact Pat Wogan for Gym Membership. On a wet and windy Sunday morning the Bray Emmets adult hurlers took their maiden bow in the Dublin League. Having played only the day before in the Leinster League it was a chance for Bray to use their panel and fielded 10 players who hadn’t featured in their Leinster League victory. Padraig Doyle shining on his Senior debut had won 3 early balls which yielded 3 cracking goals. The score of the game came in the first half from big Willy Nolan. Going into the 2nd half Bray had a commanding lead but would face a stiff breeze and deteriorating elements. Bray’s backs had been well on top but the stiffening breeze put them under huge pressure. Bray ran out convincing winners. 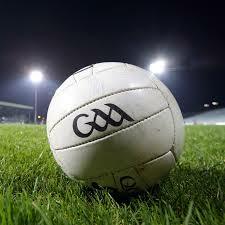 Bray overturned a seven point deficit at half time to run out winners 5-08 to 2-11 in Wicklow on Sunday morning. Brays lined out with a mixture of youth and experience. Some excellent football was played and this laid the platform for each of Brays goals any of which wouldn’t be out of place in Croke Park. Team Keith Hillick, James Duggan, Mark Nolan, Mark Mulvaney, Finn Greene, Jeff Morrissey, Ross Masterson, Ray Lambe, Peter Walsh, Declan Snow, Sean Liddy, Lee Brandon, Marc Lennon, Donnacha O Midheach, Garreth Crowley Subs; Tadgh Doran, Brendan Snow, Jamie Queeney, Shane Sullivan Training continues on Tuesday at 8pm. Congratulations to Dan Cody and Ben and Eoin McCormack who were on the Colaiste Eoin team that defeated Marist Athlone in the Leinster A Schools Football Final in Croke Park on Saturday. Bray Emmets, Oifigeach na Gaeilge, Brian Lambe, will be giving an Oral Irish class in the Clubhouse on a date yet to be finalised in March. This class is for any members of Bray Emmets who are sitting their Leaving Certificate Oral Irish examination in the coming weeks. If you are interested in enrolling, please text your name to 087-6970589. Go raibh maith agaibh. The Bray Emmets defence had a quiet first half because of the elements but Aaron, Sebastain, Daniel Flavin and Tadhg were on top against their opponents ensuring Sam in goal has an armchair ride in the first half.Uncertain in how the second half would go playing into a strong wind, changes were kept to a minimium and indeed O’Tooles came more into the game with a well taken goal. Bray settled down and kept the ball low and ran with the ball ensuring they kept O’Tooles at bay. Key to this was storming performances in the back line by Sebastain and Aaron with Tadhg’s and Daniel Flavin’s tight marking ensured Cathal now in goal was not busy. Dublin Hurling League Sat. 8th March 2014. Bray Under 11’s Vs St Monica’s Under 11’s. Bray Emmets Under 11 hurlers enjoyed another fine win this past Saturday. In their second Dublin League match of the current season. They welcomed St Monica’s of Raheny to Old Conna and beat them 2-6 to 1-2. The team played with a strong breeze in the first half and scored 1-4 whilst holding St Monica’s scoreless. Team: Luan Roddy, Nathan Prunty, Oscar Maloney, Michael Healy, Cian Walshe, Louie Fitzgerald, Art Whittle, Cian, Tim Harrington, Jamie Ryan, Quintin Lawlor, Evan Barry, Oscar Harty, John Butler and Conor Duff. Sunday 6th March, the U12 Girls Football team played O’Tooles. This team was very strong and mobile. While our girls did very well, with commendable contributions from Emma Doyle, Saoirse Canavan and Amy Healy, the final score line favoured O’Tooles. 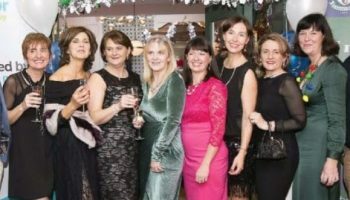 Beidh laethanta níos fearr againn amach anseo. Team: Amy Butler (0-2), Amy Healy, Aoife Canavan, Caoimhe Byrne, Caoimhe Purcell, Eimear Timmons, Emma Doyle, Jordan O’Brien, Méadhbh Wogan-Murphy, Orla Jackson, Orla O’Keeffe, Rachel Messitt, Róisín Murphy, Saoirse Canavan, Sarah Lambe, Sarah Maguire, Sinéad Quigley, Síofra Ní Mhidigh (0-1). Bainisteoir – Tomás Ó Midheach. The second Dublin League game for the U14s was played today In St Annes Park.A squad of 21 girls went out to play Clontarf this afternoon, all the girls contributed to a result of 4:2 to 2:2 in Bray’s favour. The game was very tight right up the end and all the girls worked very hard to gain the result. The scorers for Bray were Eve Murphy2:00, Shauna Ryan 1:1 & Lauren Healy 1:1.